Luiz on Conte: He’s one of the best technicians I’ve ever worked with. 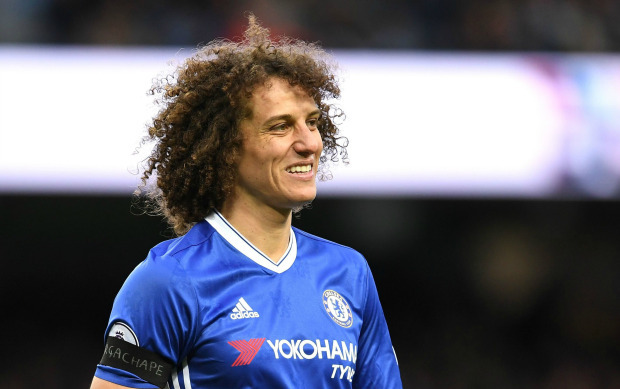 David Luiz has heaped praise on Antonio Conte this week and has once again re-iterated the two reasons why he decided to come back to Chelsea four months ago. Plenty has been said of Antonio Conte ever since he took over at Chelsea back in the summer, especially in recent months as he guided Chelsea to the top of the Premier League having masterminded a thirteen-match, record equalling unbeaten run. Despite the disappointing defeat at Tottenham a week ago (when I have stated that for once, he got things wrong at White Hart Lane - HERE) David Luiz has been quick to praise the boss. "He’s one of the best technicians I’ve ever worked with. He knows very well the characteristics of each player and we follow exactly what he guides us to do on the pitch. Conte is a coach who loves what he does and it infects all of us who love football. Every training and every game is a manifestation of how winning and competing is important to him, so for us, the motivation to keep focus is always high. We soon understand the philosophy and system that Conte likes to play. He made us understand even more that the collective dedication to a system is fundamental for the individualities to stand out. We know how to play with and without the ball, both in attack and defence. If we are without the ball, everyone knows how to defend and with it, each one knows his role well to help the attack.” - Source: The Mirror. "I love this club and I saw that if I came back it was because there was a story to continue. I did not win the Premier League during my first spell and this is a goal I have now. To help where I can to win this championship. Conte has been great in that regard.” - Source: The Telegraph. I have to say that Luiz has really, really impressed me and more than deserves that plaudits he has received from all quarters of the game. The fact that Gary Neville and Jamie Carragher have also heaped praise on him after questioning the decision to re-sign him. Playing in the heart of our back three, watching the game build around him and detecting danger has really brought out the best in our Brazilian centre back. His defensive awareness and positioning is getting better all the time and if you add his excellent abilities with the ball at his feet he will become world class under Conte. What is your opinion on David Luiz since his return to Chelsea?